That’s supposed to be a joke but I have legit seen the same weather in February so it’s certainly possible. 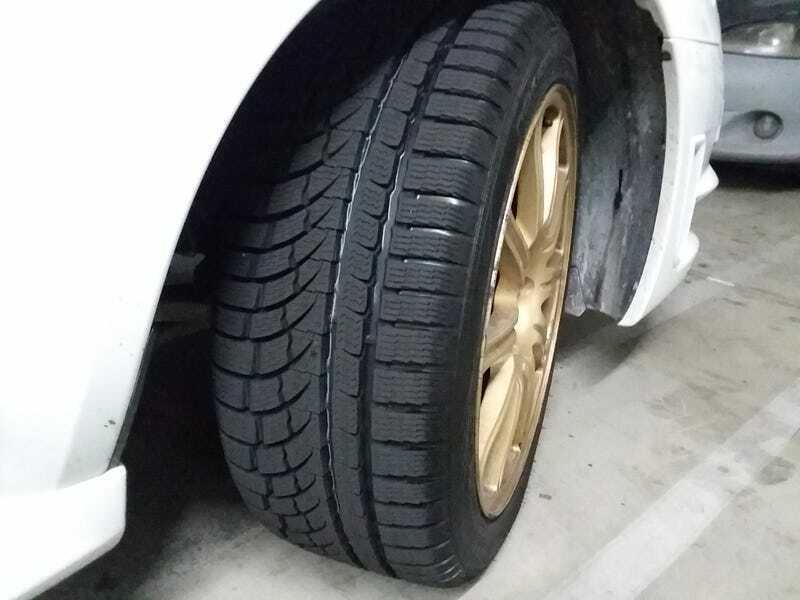 These are real snow tested all weather tires and should perform quite well. Not your typical M+S rated all season and not really a true sub 45 degree only winter tire either. So a compromise still but much less so than a no season. With Subarus all wheel drive and some driver skill, I should be able to brave any weather that I have enough ground clearance to make it through. Plus with some rain coming this week, my bald 200tw summers would have been sketchy at best. America’s tire charged me $130 to install the tires which seemed expensive to me but they got it done in like 20 minutes so it was worth the service. Now I’m almost ready for my first ski day in November! Roof rack landing pads are fully installed so I just need to order the bolt on parts now to finish that up. Everything is 2 day shipping on Amazon so I’m in no rush for that. I will need the towers, bars, and ski rack itself. Then I just need my skiis back from the shop and I’m fully ready for the ski season. They are doing base work on my old set since it was relatively affordable and the other set are just binding check and wax. Looking forward to a great season that I hope actually gets snow!